How successful are arranged marriages? 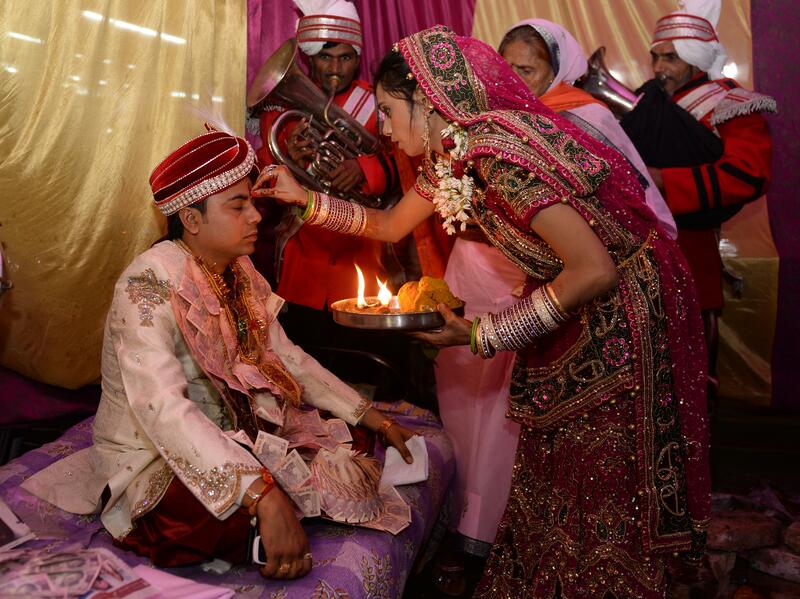 A relative applies tilak to a groom’s forehead during his marriage ceremony in New Delhi in 2013. I don’t know if it’s too wise to consider something as sacrosanct just because a mind-boggling number of people participate in it for really long periods of time. Given any chance we are bound to see people trying to sell one concept of love over another—as more efficient, as more long-lasting, as more appealing. For a long time, we’ve all heard arranged marriages being extolled as the secret behind low divorce rates. Very interestingly, though, as we go from one year to the next, the divorce rates in urban India keep rising. And these rates will still be found to be rising, if we consider only the arranged marriages. If involving your families was the “one-key recovery” button, so to speak, that wouldn’t be happening. We can never really know if arranged marriages work. One, because people, understandably so, find it hard to admit that outsourcing what was possibly the biggest decision in their lives turned out to be a disaster. I have never come across many men or women in their 40s to 50s who would readily admit that they have spent decades with someone they couldn’t find love for. Add to that the exhausting inertia one feels after having expended a tremendous amount of energy in trying to find some beauty in a loveless bond, day after day. A lot of people just stick with it because it’s tiring to even think of a solution in light of the deluge of family disapproval they’ll be faced with. In light of how they feel, it’s just too late. To an outsider, they might have just celebrated a silver jubilee, and to them, it could be the 25 years they lost. It must look like I am painting arranged marriages as only a high-risk gamble, but I am not. I believe what meets the eye is seldom—and in the case of something as sensitive as marriage, rarely—the entire truth. Of course there are people who believe that if involving extended families right from the inception of the marriage process and especially during trying times saves marriages, then these arranged marriages should be deemed to be a good working solution. Support from friends and family is undoubtedly crucial. My point is that mending a “mistake” with some social disapproval and emotional blackmail does not change it literally; it will still be a mistake, and it just adds a few more years to it and ends up making it seem like the “right thing to do” to people who have no idea of what it actually entails. Also sometimes it becomes an unfair comparison until you provide a love marriage with the same ammo. Sadly, just the reverse seems to happen in India and some other countries. We often see love marriages being turned into a war zone right from the tell-the-parents night. Almost as if the people you grew up with, and look up to, almost unconsciously, for silent approval, are praying that the biggest turning point in your life should not work out well. All because you’ve snatched away their right to find or short-list a spouse for you. In my opinion this is just one of the reasons that vitiates a love marriage even before it begins. That still doesn’t absolve love marriages of their common delusions, and they are many—just that they exist as equally as the silent denials of an arranged marriage. It’s one of those questions in life that no one else can really answer for you. This is partly because the issue is subjective and partly because the post-leap truths are too thickly veiled, and personal, to ever lead you to a trustworthy answer. New Delhi, India: Why is Delhi so unsafe for women? Arranged Marriages: What is the craziest experience you’ve had when a prospective groom/bride had come to see you for the first time (before the wedding)?